For a few weeks now I have owned both a Canon 1D Mark IV and an Olympus E-M1. And it is time to compare these 2 excellent cameras. This comparison is about my experience switching from Canon to Olympus and it is in no way a scientific comparison of numbers and facts. I will go through the things I like (and don’t) and what I think really maters to me as a professional photographer. The initial idea was to switch to a mirrorless system to gain portability by reducing weight and size. Read about it here. As a surf photographer I rely on fast focus and the frames per second (fps) a camera can spit out so I don’t miss a the crucial shot of the action. Both the Canon 1D mk IV and Olympus E-M1 do a solid 10fps when focus is set to ‘one shot’ or manual – meaning the camera only focuses for the first frame and then holds the focus at that point until you let go of the shutter. This works for shots where focus is set to manual or where the aperture is small enough that 90% of the frame is in focus (a wide angle lens at f/8 for example). As a surf photographer this comes in handy in the water when using a fisheye lens in a underwater housing. Preset the aperture to minimum f/5.6 and focus at about 1.5m and set the shutter to a minimum of 1/1600sec to totally freeze the surfer on the wave and every single drop around him. When it comes to focus tracking (aka AI focus) the Canon has the upper hand. With 8 (Canon) vs 6.5 fps (Olympus) it is obvious the Canon is a faster camera. I haven’t had the opportunity to fully test the tracking of the Olympus, but from what I’ve seen so far the keeping rate is about 70-80% – this depends very much on the lighting. On my 1D I have a safe 80-90% accuracy. So not much difference there. In real life this would mean in an action shot of 2 seconds at 6.5 frames per second with the E-M1 I will have about 9.1 images (at 70% accurate following) that I can use compared to 12.8 (at 80% accurate following) images with the 1D at 8fps in the same situation. (This would have to be a racing car coming towards me, or a surfer surfing towards me and doing a turn on the wave. If this will really have a big impact on the quality and quantity of usable images I will keep and edit for final use (printing, selling) I cannot say at this point. Only time will tell. If we compare the numbers the 1D (released in September 2009) and the E-M1 (released in October 2013) every person on the street looking at both cameras would think the 1D is the better / more professional camera. But numbers aren’t everything. 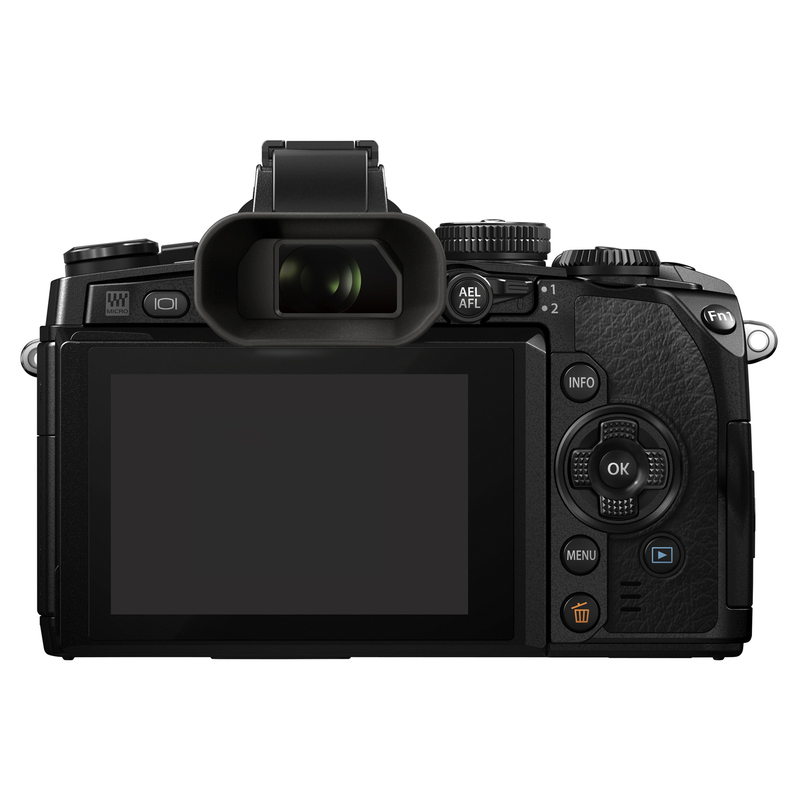 The sensor on the E-M1 is 4 years newer. In technology that is a huge difference. When it comes to ISO performance the 1D should be better. 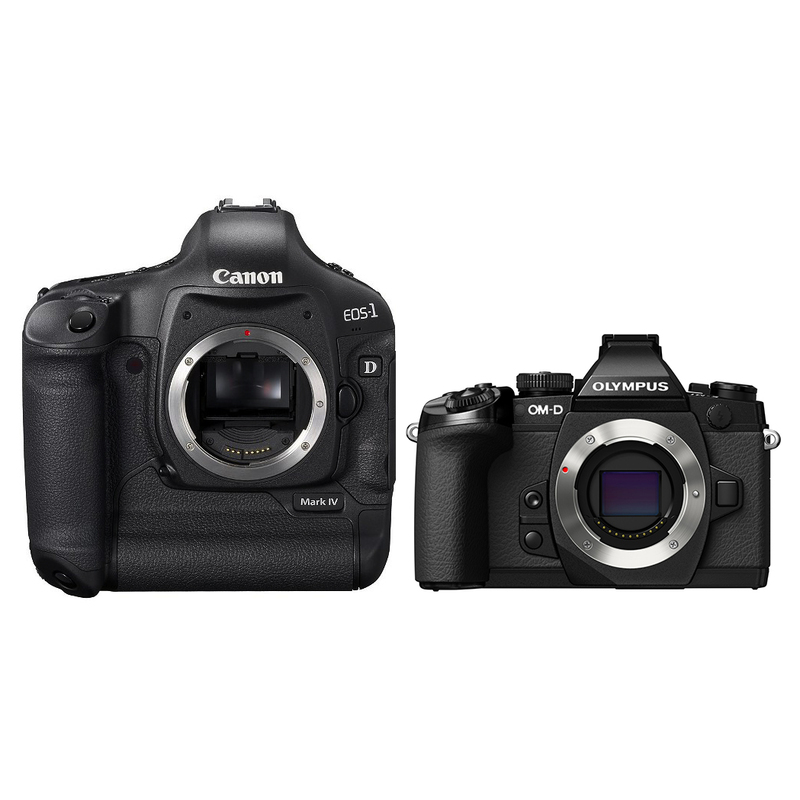 The sensor of the 1D is much bigger at the same resolution as the E-M1 and therefore the pixels are bigger and further apart creating a cleaner image. But to my surprise I find the Olympus to shoot much cleaner images up to ISO1000. After that the Canon takes the upper hand and the Olympus, while still producing absolutely great images, generates a little more noise than the 1D. But I find the noise less disturbing than on the 1D. It seems finer and smaller. 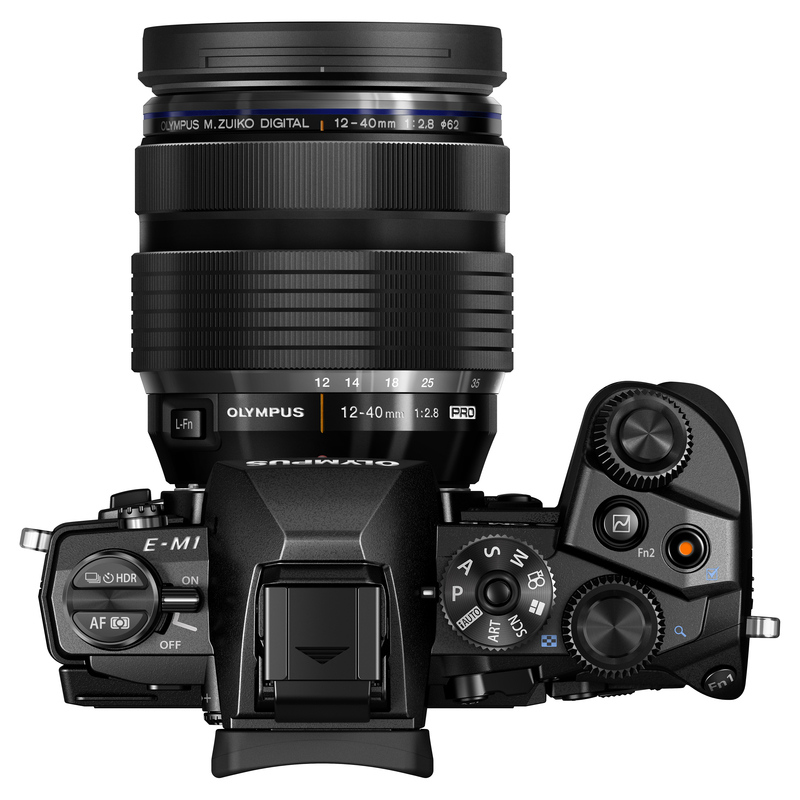 The Olympus is a good deal cheaper and so are the lenses for it. My Canon gear (the lot) has a new value of about $15.000 where as the Olympus gear will cost about $8000 new. The Olympus is much lighter: 497gr (vs 1230gr on the 1D). And because the sensor is much smaller there is much less glass needed to achieve the same focal lengths and apertures as in full frame lenses. So not only the body is about 1/3 of the weight, also the lenses are at least 1/3 of the size and weight. That’s about 1/3 of my Canon gear. Not only is it a lot lighter, it is also much smaller. My Goal is to stay under 10kg of camera and tech gear. The Macbook will be replaced by a 13″ MacBook pro soon – losing another 300g. My goal is to carry only one bag with me when travelling. And with the Olympus gear I will actually have space for socks in that back too! Both are excellent lenses and I definitely will own every single M.Zuiko pro lens in the future. They have proven themselves in weather sealing, build quality and sharpness. The M.Zuiko 40-150mm f/2.8 has been released and after testing it the other week I can’t wait to have this lens on my camera. Especially with the M.Zuiko x1.4 tele converter (the lens loses a stop of light so comes down to f/4 with the TC). 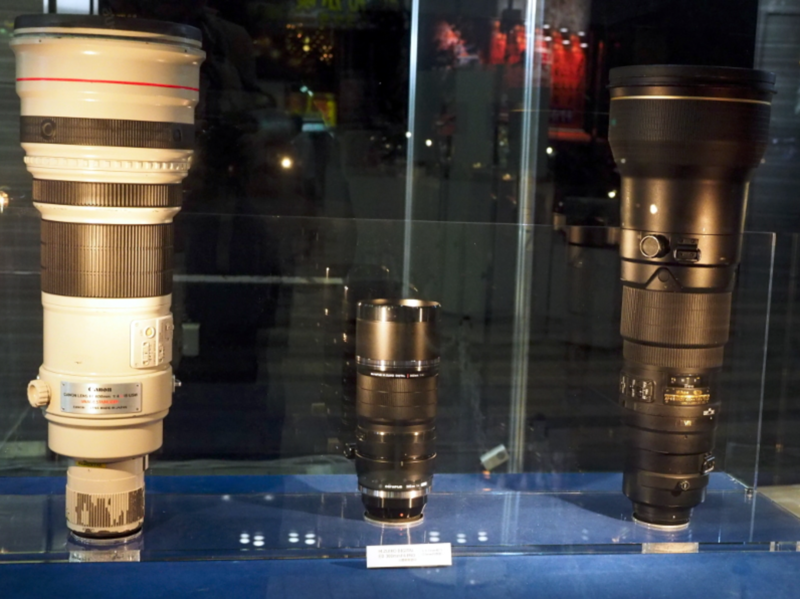 Then there are the 7-15mm f/2.8 and the 300mm f/4 (both to be released in 2015). Obviously as a surf photographer I’m VERY excited about the 300mm f/4. This lens will be a 600mm equivalent on full frame bodies. And after seeing the first mockups of this lens it will not be much larger than the 40-150mm f/2.8. I love how packed the Olympus is with features. New things I now believe every modern camera should have. – an EVF (yes I love it. Seeing what my image will look like overlaid with a ton of extra information is a GREAT thing! – switching between auto and manual focus without touching the lens (this is great when I’m in the water and decide to shoot a wave from below the surface – you need auto focus for this to work out) – On my Canon and Aquatech housing this was a decision I had to make before I even went into the water. Manual focus and shoot surfers or auto focus and shoot under water and maybe some blurry shots above the surface? This is also great if I want to correct my manual focus point distance once I’m in the water. I set it to auto focus again, focus on a new point and then switch back to manual focus again. Really really useful! – the battery life and indicator. Olympus please give us a % of remaining battery life. The only thing there is, a little flashing icon which becomes red once the battery is about to die. – the fact that I can’t look at my images while the camera is writing to the SD card. YES I need this feature when I’m shooting a burst and want to do a quick check if I got the shot – waiting for my camera is very annoying in this situation and I have actually missed shots because of this. I will need a faster SD card to minimise this problem. To my knowledge the E-M1 writes at about 60MB/s – so a 100MB/s SD card will do the job. – the Olympus is the flagship camera and the way Olympus is marketing it it’s aiming for the semi to professional photographers – but why is the camera equipped with ART filters? Really we don’t need that! I’ve switched it off (thank god you can) and it doesn’t bother me anymore… but I just can’t get my head around it… sometimes some features are too much and the Art filters are. The Olympus is the better camera for me. At first it took getting used to, having a much smaller camera in hand is a great thing! You are less recognisable as a photographer and people don’t notice you taking photos. Even if you have a longer lens on the camera, it still is small. Then there is the electronic viewfinder, that also took a few days getting used to, but by now I find it strange looking through the 1D viewfinder. I find myself taking more time to compose better images. This means I shoot less, but find that i keep more of the images. The tilting screen is a great feature too. Holding the camera right on ground level and shooting an image is no problem and I find myself getting lower down to shoot more interesting angles more often now. By the end of this I will have sold approximately $11 000 of used Canon and Aquatech gear and now own new gear and actually saved some money but I’ve lost the weight and size and gained portability. Keep an eye out for first surf photos taken with the housing and further reviews of lenses and experiences with the new camera. If you are looking to pre-order the M.Zuiko 40-150mm f/2.8 they are probably the best place to go to too! I received the PT-EP11 underwater housing over the weekend and will be writing an extensive review about it in the coming days. So stay tuned for some news. Yes the Olympus really generates beautiful images with amazing colours and clarity straight out of camera. It really beats the 1D mk IV hands down! Chris, Diamonds has a $100 premium slapped on the new Olympus 40-150mm f/2.8. 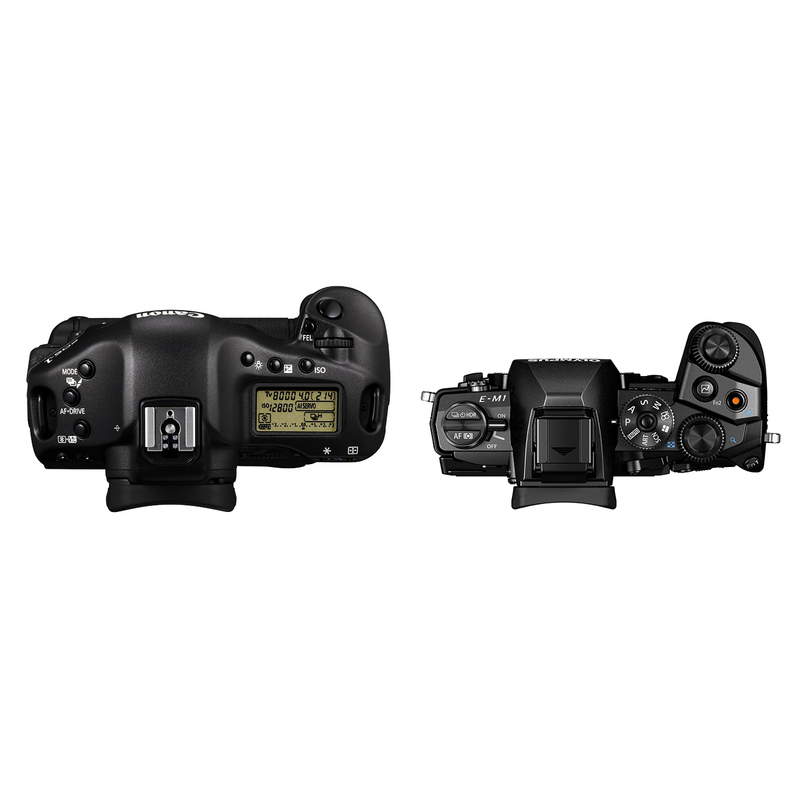 You can buy it almost anywhere else for $1499 with free shipping, like at B&H Photo. As far as I know Diamonds will match prices and the guys there really know what they are talking about and I’ve received great advice from them. I spent a couple of years with Canon A-PSC and already hated the weight/size, I eventually decided to upgrade and I had the choice of going Canon FF or going mirrorless.. The Panasonic GX7 was only recently released and it ticked all the boxes for me especially the rangefinder design. I went mirrorless and I’m glad I did, I take it with me everywhere. I enjoy photographing more now! WIFI transfer, wireless shooting, great video and the ISO is definitely better than what I was use to getting. I’ve been mirrorless for a year now and yeah I have no desire to change that. It’s usually just me and my 25mm F1.4, I also have the 12-35mm F2.8 but I take that if I want to go wider or do landscapes. 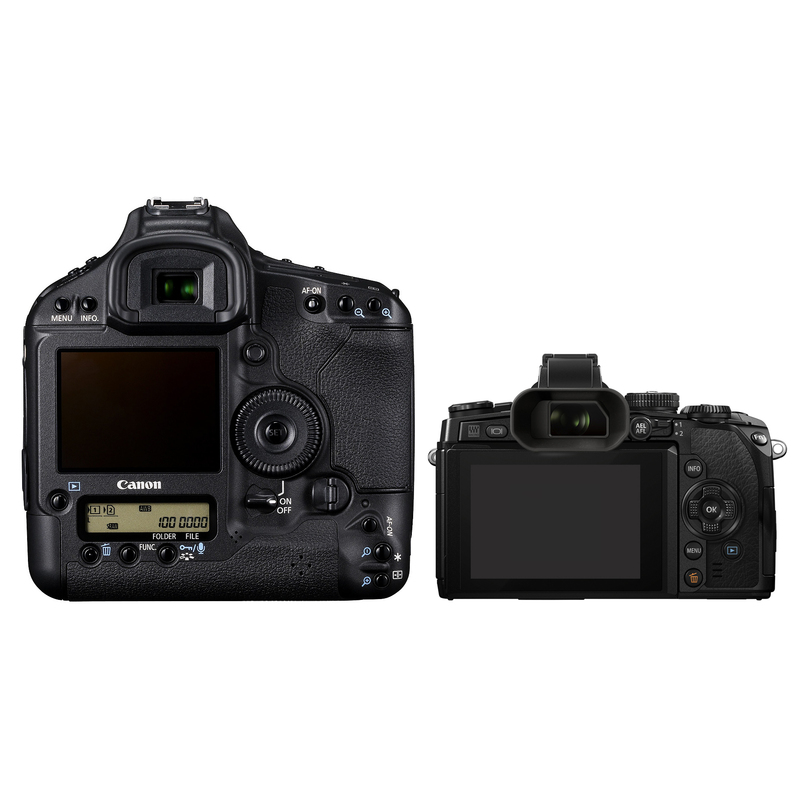 Nice writeup on comparing pro gear to the E-M1. I am also in the process of doing the same thing myself. I’ve just send all my Nikon gear to be sold, replacing it with the E-M1, 12-40, 45 1.8, 9-18, and the 40-150. I already own the E-M5, 8mm Panasonic fisheye and 12-50. I’ll also be purchasing the 7-14 to replace the 9-18 when it becomes available. I’m currently using an E-M5 in a Nauticam housing for underwater photos and the combination is loads smaller and lighter than a DSLR in a comparable housing. I promise you won’t regret the lighter gear bag. I’m very much looking forward to the 7-15mm and even more the 40-150mm f/2.8. And then of course the 300mm f/4 to complete my setup. Keep an eye out for my review of the housing. 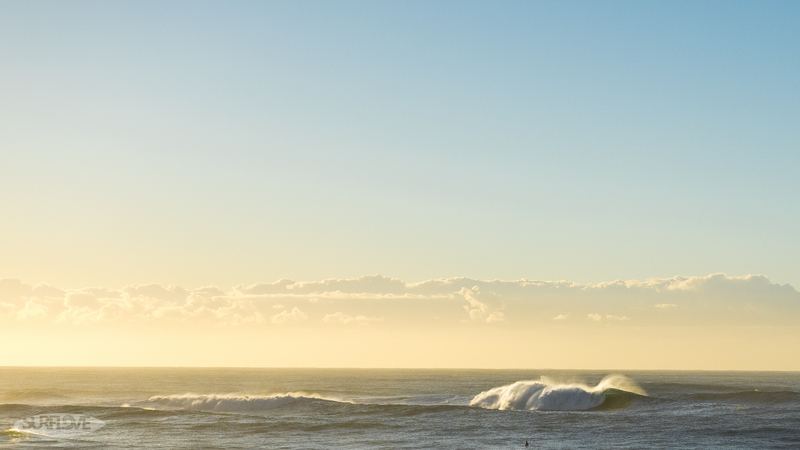 There should be some solid swell underway creating a great opportunity for testing the housing in the coming days. I bought myself a bunch of Olympus gear late last year to try and lighten my load. For a lot of work that I do these are just amazing. I shoot about 20 weddings a year and my 5D MKiiis with lenses (24-70 on one, 70-200 on the other) get pretty heavy by the end of the day. I now use my three OM-D E-M1s and save my back for as much of the day as I can get away with. I’m not going to abandon my 5Ds any time soon as the 600 EX RT flash system is just amazing and Olympus has nothing that even comes close. Also, as you note, over 1600 iso it gets a little too noisy for my taste. Things I really love about the Olys – weight/size amazing autofocus wide open. I have three Panny lenses – the 15mm f1.7, 25mm f1.4 and the 42.5 f 1.2 – these are just killer lenses and sharp as a tack wide open. What amazes me is the keeper rate when shooting wide open with these three lenses (and the Oly 75mm f1.8) – they are almost always sharp. I had the Canon 85 1.2L and had the hardest time getting that in focus more than 50% of the time when shooting wide open. I currently have the 50mm f1.2 L and that is better, but I usually cheat back to 1.8 or so to get more in focus. I’m really looking forward to getting the 40-150 – looks like a sweet lens – I have the 12-40 pro zoom, but find myself using the primes more unless I’m just going out with one lens – more often that not I’ll grab the zoom to have more options. Good writeup – enjoy the Olys and try out some of the Panny Leica lenses – they are just amazing! I would think that Olympus is developing flashes for the E-M1 series if they are trying to target the professional photography market. You are right about the lenses. They all are amazingly sharp! It keeps surprising me how crispy clear and detailed things are compared to the Canon 1D Mark IV. The fact that all these lens brands are cross compatible with different camera brands is a great thing alone! It really gives the photographer the choice to pick the perfect lens for his needs. Thanks for putting up this series of posts, the extra details and information you’ve provided on each step of the process of switching to mirrorless has been really valuable as I’m faced with the same decisions myself. I’ve used my Sony a6000 in my Aquatech housing for shooting surf a couple of times now and I’m really enjoying the lighter weight and faster burst rate compared to my Canon 70D. Did you consider going for a Sony camera body rather than Olympus at any point? 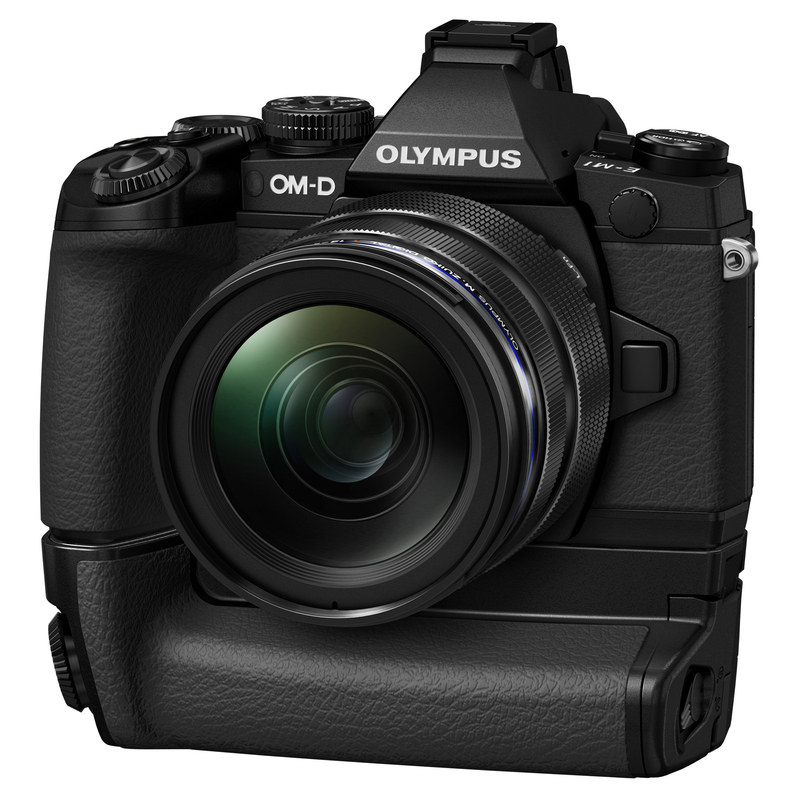 and is there a particular reason you went for the Olympus over the a6000 for instance? I ask because I drew up a big comparison table based on the current kit I use and the mirrorless alternatives for surf photography and the Sony came out top in the majority of spec’s, bigger sensor, faster burst with continuous focus, smaller, cheaper, higher resolution and there’s a good value dive housing available off the shelf too. 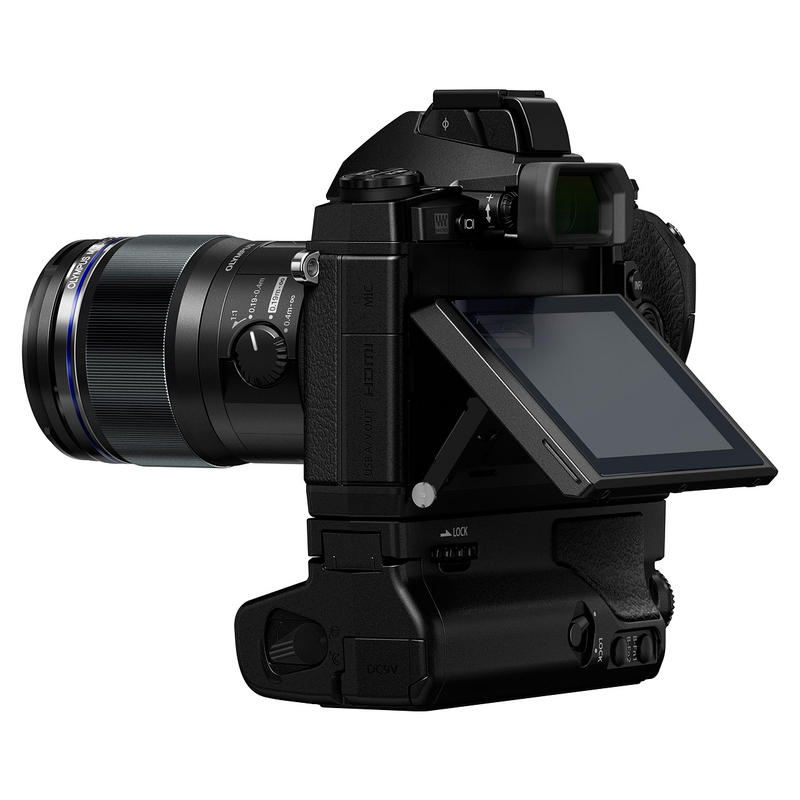 The in-body image stabilization and touch screen seem to be the big advantages, and whilst they’re very useful I didn’t think they outweighed the other factors personally. Your photo’s from the new set-up so far look great so it definitely looks like the OM-D EM1 is working well for you, just curious to hear if I’ve overlooked something glaring before I sell on all my Canon gear and re-invest in the Sony system. I did look into the Sony A6000 for a bit, but had the opportunity to test the Olympus E-M1 and with the amazing lenses to be released (the 40-150mm f/2.8 and 300mm f/4) built for the Olympus camera I decided to go with the Olympus. Also there being an Olympus brand underwater housing was a great plus. 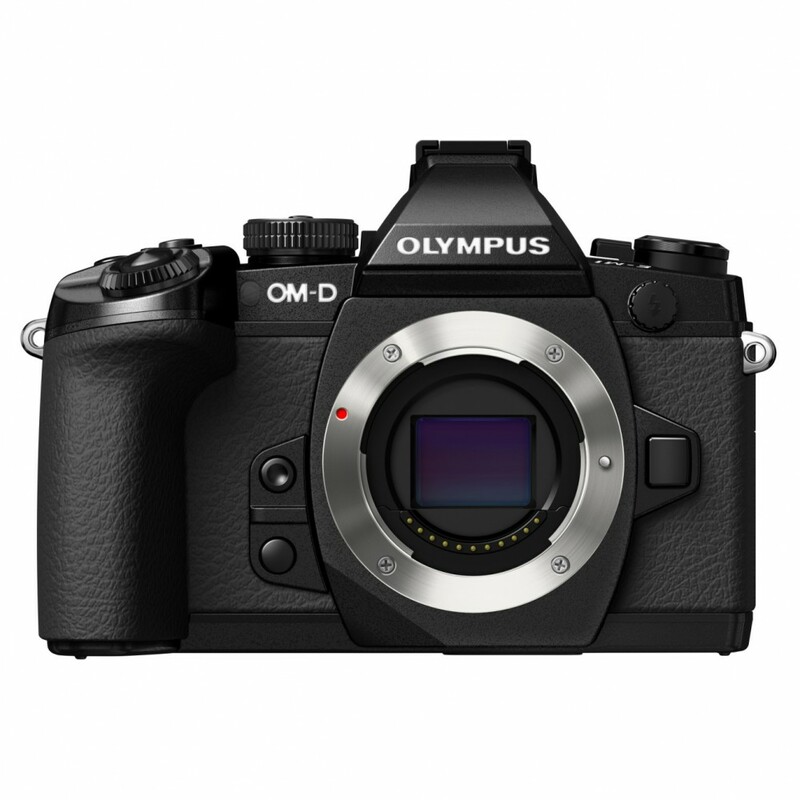 The Olympus PT-EP11 is built for the E-M1 and all functions can be accessed and it’s about as perfect a fit as you could hope for. It being such a light (yet robust) housing was really what made me buy the E-M1 and PT-EP11 as I have long term travelling plans in mind. Also the E-M5 has been a very popular dive camera in the recent past and this has provided me with great contacts regarding any questions I had about taking the E-M1 into surf. Like you said: the E-M1 is really doing the job for me and I’d recommend it to any photographer thinking of making the switch to mirrorless cameras / starting out in surf photography. I also love the fact that the E-M1 is weather sealed (YouTube some videos on it… it’s amazing!) and being able to take my camera out wherever and whenever I want and not worry about it is essential to me. This is a BIG plus on the E-M1 over the A6000. BTW great blog you have. Full of useful information and links. Loved reading about your experiences with your gear. Thanks for the response, I re-read your post and I figured the weather sealing was another big advantage for surf photography, and also the smaller sensor isn’t really a drawback if low light isn’t a priority (unfortunately it’s probably more of a concern in the UK) and you ge the benefit of the much smaller lenses as you’ve shown. I hear you about the housing, I’ve been lucky enough to be able to re-purpose my Aquatech housing but I’d love one with all the controls, and although the third party dive housings seem OK a genuine OEM option is a big plus. Thanks for the feedback on the site, I’ll be posting my experience with the Sony a6000 pretty soon, just waiting on getting my EF-E-mount adapter so I can shoot some longer focal lengths, loving it so far with the 8mm and 30mm I have though. Great to see that you found the information you were after. I do actually own the E-M10 too and it’s such a great walk around camera that actually fits in a really small bag – pocket, but still has full manual control. Both the E-M1 and E-M10 share a lot of the same features (firmware wise). But nothing beats the 10 frames per second that the E-M1 can produce. If you want a good camera in-between the E-M1 and E-M10 I would definitely go for the E-M5 (or wait a little longer until the end of February when the E-M5 Mark II is announced – I think there will be some amazing features coming up.